Wise Company provides a wide variety of options for families and individuals that are storing long-term foods in case of emergency. 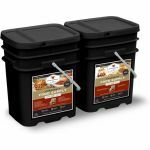 They provide an assortment of great tasting gourmet food storage entrees that you and your family will love to eat! 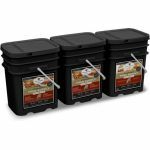 These ready made freeze-dry and dehydrated meals are prepared in minutes by just adding boiling water! We are confident that once you try one of our delicious breakfasts and/or entrees you'll be a believer. Finally . 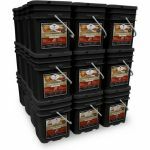 . . dependable, simple and affordable food storage that will meet your family's needs for many years to come. 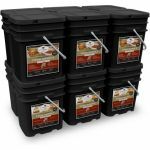 Typical food storage can take an incredible amount of space to store that most families don’t have. 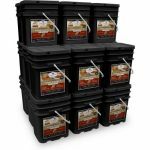 Other food storage companies will want you to purchase a year’s supply comprising as many as 85 large cases of awkward and bulky #10 cans. 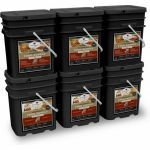 With Wise Company, in no more space than is taken up by a washer and dryer, you can store enough freeze-dried meals to feed a family of 6 for a full year. 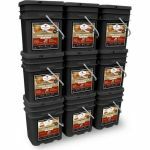 A 3 month long term supply of tasty meals for an entire family can be organized and stacked in a basement or even a closet.